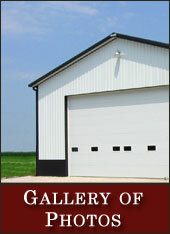 Welcome to Graber Buildings, Inc.
Graber is a well-respected name in the post frame building industry. 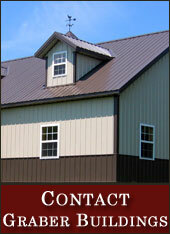 Based in Sullivan, Illinois, Graber Buildings, Inc. uses only the highest quality building materials available. All of our metal is provided by Graber Post Buildings in Indiana, a leader in the metal forming industry. We manufacture our own metal trim, thereby helping us to provide the best quality buildings at competitive prices. Our dedicated crews have decades of valuable experience and take pride in their craftsmanship. Our buildings are visible throughout the East Central IL area, giving testimony of years of quality construction and satisfied customers. Compromising quality for a lesser price has never been an option. We strive to put the best materials and workmanship into every project, whether a Farm, Residential, Commercial, Equine, Church, or Municipality building. When you’re ready to plan your next metal and post frame building, please contact us and visit our Color Your Building feature to explore a range of color options. Start your Graber building project today! Call us at (217) 543-3259.